congrats! I'm from Virginia and transferring to another VA school soon. Haven't quite made my pick yet, it's probably either Mason or VCU. 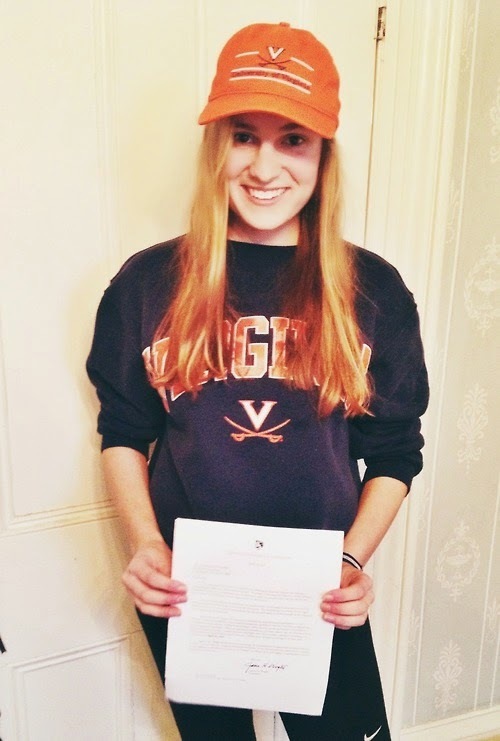 I think you'll really like UVA, it's an awesome school and super hard to get into, so congrats! Hey Rory! I've been MIA from commenting for a loooooong time (that's what having a baby will do to a girl). Anyway, I saw this post & just wanted to send a huge CONGRATULATIONS! That is amazing news. Choosing a school can be so tough & feel like such a huge decision (especially when you have so many to choose from). Sounds like you made the best decision for yourself. Good for you. Can't wait to hear more about your program. Congrats again!